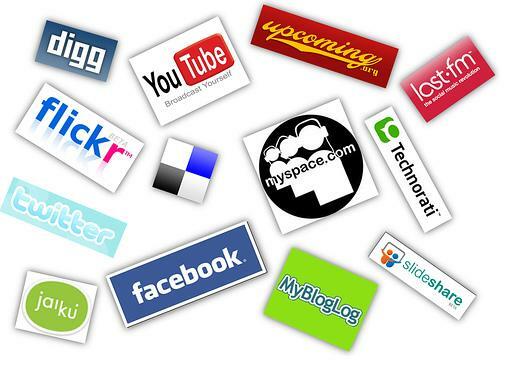 The social Networks and in general the digital interaction develops in a “mental space”, virtual some would say, where the information in digits is the basis of the exchange of communication. All the signs are unaware that is exchanged in the interaction physics are replaced by digital resources, pictures, emoticons, links, lines of text (short and long), etc., All of which has to be construed ‘rationally’, in symbolic terms and in accordance with codes of behavior or communication. Hence the “netiquette” and the cultural codes that emerge in the communities online. The physical interaction with gestures and involuntary body language is a big part of what we say when we see it, the inflections and tones of voice, the looks and the brightness of the eyes, to the sounds of the breathing (like sighing), and even body odor… it is even possible that at an unconscious level perceive themselves as variations in the brain waves of the other (if you can catch a machine, why not another brain?). All these signs disappear in the virtual interaction and are replaced by symbols digital. The tuning of the bodies that constitute a major part of the physical interaction lost prominence in favor of the harmony of the minds. In addition to these differences, “techniques”, in digital interaction, we lose part of our constrictions social-family. We took them with us to the extent that they are rooted in our attitudes and ways of thinking, but they lose that constant presence that they have in the physical life. Family relationships, the neighborhood where we live and where we work affect our social relationships and our possibilities of communicative interaction. These limits are broken in the vast digital world where we can model our “digital identity” – that interface staff with which we present ourselves on social Networks – according to our ideas, tastes, etc., more personal. This makes that little by little we will develop new ways of being through the interaction in the Network, shapes that are added to our normal personality – modifying it – or that are built of more-or-less parallel to our way of inhabiting the physical world. From a global point of view and social, this new situation opens the door to innovation and creativity – or misuse – of the ways of being, of behaving and of thinking, promoting the multiplicity of discourses, values, cultural references, habits, etc., To disappear the mechanism of control interpersonal imposed by our immediate environment, it opens the door to an expression much more free – or erratic – our individuality. A trend that can already be seen in Japan, as shown in this documentary aired yesterday in The 2 which accentuates the erratic and dysfunctional. In this sense, I argue that these are not direct effects of technological advancement, but in how certain values or trends of cultural (and economic) are in charge and determine that technological advance. From the point of view of personal or individual, this can lead to a kind of disruption between what we experience in person, and what we live in the Network, regardless of if we make public our identity or use a pseudonym. The digital interaction, especially when it is intensive, it produces a series of ideas and attitudes warmup in us. The style, the sense and direction of these changes depend on the networks that frecuentemos, the people that interaccionemos, who read it and what concerns or needs we have inside of us when we enter into the Network. When we transfer our new attitudes to real-life may appear to crash. We had become accustomed to think that such an attitude, speech or behavior was normal, when suddenly we discover that “our friends” all of life consider it an aberration or a hoax. The same thing happens if we transfer to “our friends” of the physical world to the virtual, where our postures, expressions, and ways of being are expressed more freely: and we may discover that the tune that we thought we perceived was only an illusion caused by the closeness. However, we also need to realize that the falsehood has many faces, and that the tune or the friendship shown in the physical also has its dose of falsehood, superficiality and inconsistency; that it is put to the test when he moves to the interaction in the “world of ideas” (tecnologizadas) that is the Internet. There we see if the “authenticity” of the bond falls before the permanent presence of the other (“is online“), their true opinions, positions and interests expressed with recurrence;or if it succumbs to the illusion of the “stardom” of the Network and the brightness empty of the weak linkages, which are like a new creed that we blend the true meaning of friendship. In conclusion, and in the end, what the digitization of society puts before us is the test of our convictions and certainties, which have to be reconstructed in a new stage – digital – from scratch, and in line with the physical world from which neither can escape. It is time to continue reflecting and deepening the sense of things as interpersonal ties, the friendship and, why not, of love. Principles and feelings that have to take shape and make an act of presence also in the digital domain. Javier de Rivera is a sociologist, graduated at the Complutense University of Madrid (UCM). Preparing a doctoral Thesis on social Networks, culture, digital, uses socio-political dimensions of the technology, and the study of the Digital Society. The author of the blog Sociology and the social Network is a Member of CIBERSOMOSAGUAS, a research group of the COMPLUTENSE university of madrid focused on digital Culture and social Movements. And Equipment editoral of TEKNOKULTURA, journal associated with the group. The limits of instrumental reason. Closing and opening the other.